Rose Otto is considered as “The Queen of Flowers” and revered for its historical use throughout the centuries as an ingredient in skincare. It is an ideal ingredient for moisturizing, firming and toning the skin, while improving the skins texture making it appear smoother, softer and younger. This eye mask ideals for eyes re-plumped, brighter and firmer in the next morning. This overnight eye mask contains the luxurious Rose Otto oil to provide an instant nourishing effect to skin. The patented PatcH2O™ and patented Superox-C are good for anti-ageing, moisturise and strengthen the protein bonding structures. The eyes re-plumped, brighter, tighter, firmer and refreshed in the next morning. Rose Otto - key ingredients are Beta-damascenone, beta-damascone and rose oxide, making them effective in brightening, rejuvenating and hydrating the skin for a natural and flawless look. Bergamot Non-Phototoxic Oil Organic - pampers the skin with deep moisture, help improve skin conditions such as eczema, acne and other skin problems. Geranium Egyptian Oil Organic - to promote the cells regeneration, balance oil secretion, detoxification to edema. Patchouli Oil soothes and repairs skin irritation, reconciles the underlying tissue, and promotes skin metabolism. PatcH2O™ - provides instant hydration, sustained protection and optimised moisturisation capital. Superox-C™ is extracted from Kakadu Plum, it reduces the appearance of wrinkles and improve skin radiance and boosts skin luminosity. Apply around the eye contour at night, gently pat with the fourth fingertip. Sleep without rinsing and wash off with lukewarm water in the next morning. Can be used one or two times a week or as daily treatment. 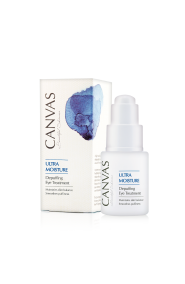 A light and cooling eye treatment designed to repair delicate skin around the eyes. 2018 CANVAS BEAUTY (AUSTRALIA) PTY LTD. All Rights Reserved. 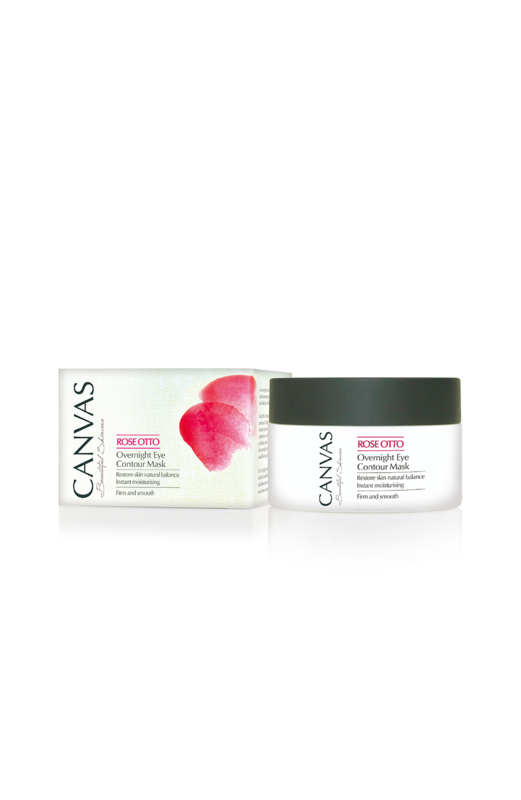 2017 CANVAS BEAUTY PTY LTD.